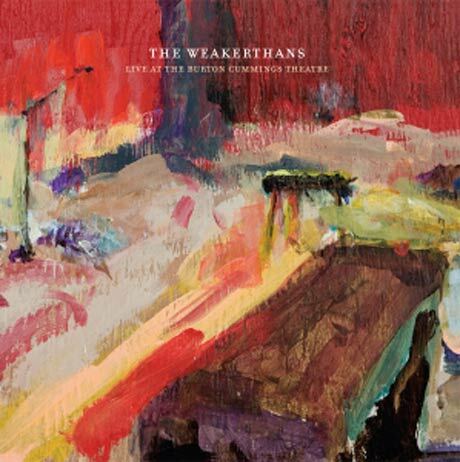 We were reminded of the great band, The Weakerthans, upon the release of their new live record, “Live at the Burton Cummings Theater.” Once again the band has shown they are stronger artistically than most bands on the planet. We have been huge fans of this band for quite some time (thanks Matt). Every record glimmers, glistens and gains your undivided attention. John K. Samson writes songs with magnificent melodies and carefully crafted, complex lyrics, while the band stunningly supports and harmonizes. The weight of the world is felt and lifted off in Samson’s stories. Amongst our faves of all time. We caught them live finally several months ago at Downtown Brew in San Luis Obispo, and the long wait was more than worth it. We brought others along who had never heard a single song of theirs before the show, but whose jaws dropped as they became instant fans and exclaimed, “How is it possible that this band is so phenomenal, and I’ve never even heard of them?” Such is life in the modern era where Pro Tools and the internet have enabled the musical Niagara Falls into which we thrust our nets in search of impeccable specimens. Also take a good listen to a few of our other favorite Weakerthans songs from their studio records. Please listen in and then go buy their new, stronger-than live record.